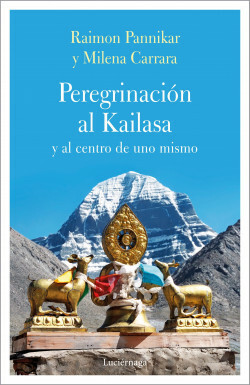 In 1994, Raimon Panikkar and Milena Carrara made the pilgrimage to Kailasa, a sacred mountain of Hindus and Buddhists, in the heart of Tibet. Archetype of our life, the pilgrimage is the experience of walking towards Life, of living it at every step, “eternal” life that is not found at the end, but in life itself, in every moment, in every step of the pilgrimage. This unique experience was captured in an intimate diary that the authors decided to offer readers in its simple and profound candidness. In this two-part story, they manage to transmit to us a wisdom lived over the years by one of our most important thinkers. The last dialogues between teacher and disciple in which the light of a true and deep friendship is reflected.